Coconut is the wellness food that dreams are made of—and it’s also a great source of healthy fats, along with manganese, potassium, and copper! The medium-chain fatty acids in coconut are broken down quickly by our bodies, supporting brain function, healthy metabolism, and appetite. Macadamia nuts have a unique and powerful nutrition profile too. Relatively low in carbs and protein but high in oleic acid and omega-9 monounsaturated fatty acid, the same fatty acid found in olive oil, these nuts are one of the tastiest ingredients in your pantry. 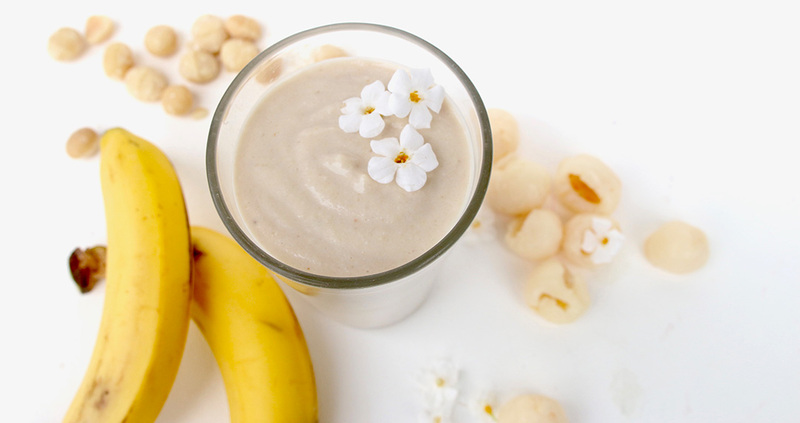 This Coconut Dream smoothie will keep you going for the long haul, great for a breakfast on the go or as the base of a beautiful smoothie bowl. *Young Thai coconut meat is often available in the freezer section, already cleaned and puréed. Or you can buy a young green coconut and scoop out the meat from the inside yourself—one coconut generally offers about ½ cup of coconut meat.